#143: This week we talk about how important it is for Geek Therapy to continue to grow by adding more voices to our network of podcasts and blogs. 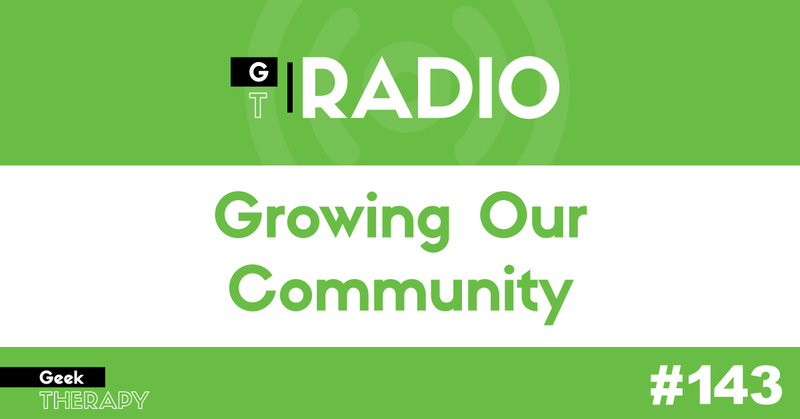 We invite all our listeners to reach out to us with ideas for their own content or general ideas on how to grow the community. Want to start a blog or podcast with Geek Therapy? Email us!